The Seabreeze Estate is truly special. 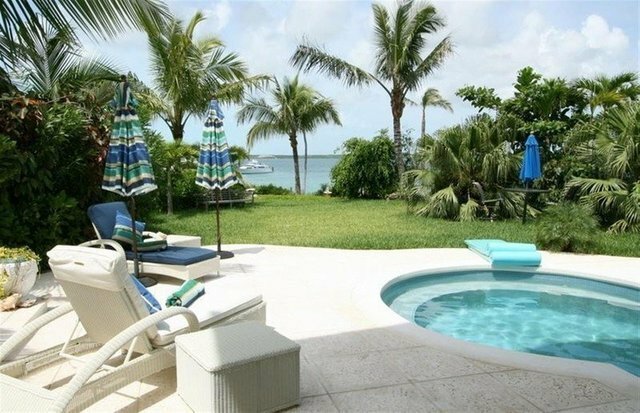 Located on the quiet harbour side just south of town, enjoy peace, tranquility and sunset views from the solitude of this beautifully landscaped property. The Estate includes a newly built beautiful 3 bedroom home with harbour views, a 1-bedroom guest house, a 9,652 sq. ft. lot to build additional cottages, a private pool and a 50 ft. dock to park your personal boat. The house features an open plan living/dining room with media centre and fully equipped bar top kitchen. All bedrooms include en-suite baths and walk-in closets. The master bedroom showcases a large covered terrace which overlooks the pool, gardens, dock and harbour. Located off the main living area is an expansive pool area with sundeck and covered patio, an ideal place for relaxing or entertaining. Additional features of the home include high tray ceilings, foyer, laundry room and separate garage adjacent to the cottage. The property has a private entrance, walled garden, front driveway and a boat trailer parking area. The property is connected to the Sunset Harbour Estate Reverse Osmosis water system and has use of an emergency generator. It also has secure access to the Sunset Harbour Wi-Fi system. The Estate faces west offering sensational sunsets and Harbour Island’s beautiful Pink Sands Beach is just a few minutes’ walk away. Enjoy the peace of mind of a full time maintenance staff/property manager and an average of 20 weeks of vacation rentals per year, making this an excellent investment property.